The HUGE Female in this litter is much bigger than her TINY sister, but she is really big separate of that. In fact, she is as big as all the boys, and even bigger than some. She totally has Gunnar's HUGE bone structure and nice large head. 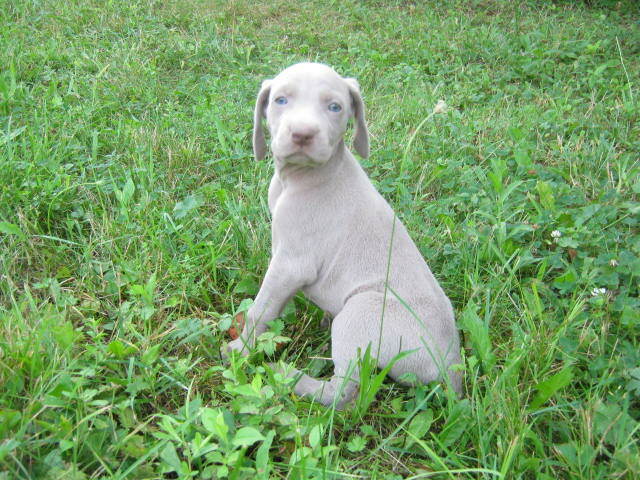 She is also super light Silver Gray and great looking. She is very loyal and loves attention. 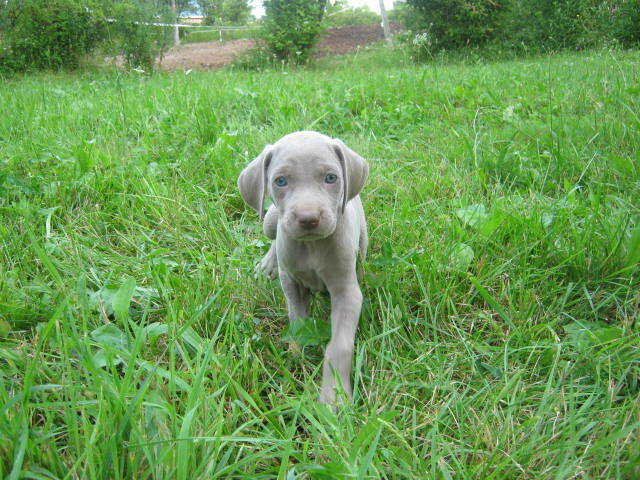 She is nice enough to compete with any other top AKC Weimaraner puppy. 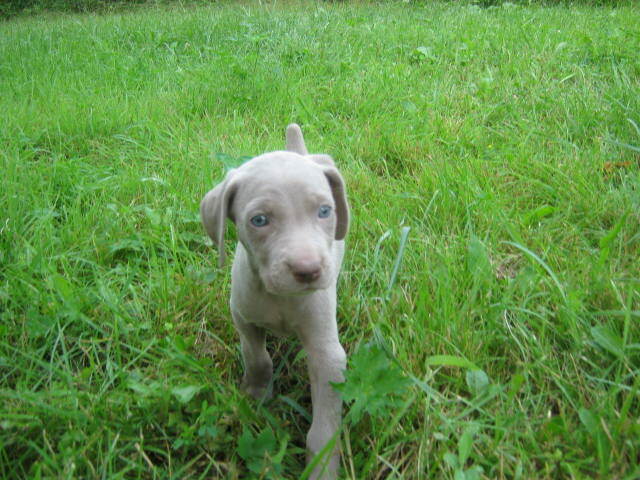 I hope for her to have a show career but she will make any home a great new friend. She is smart and sensitive and I find that combination very easy to train. She will expect a ton of affection but will return it 10 fold!! 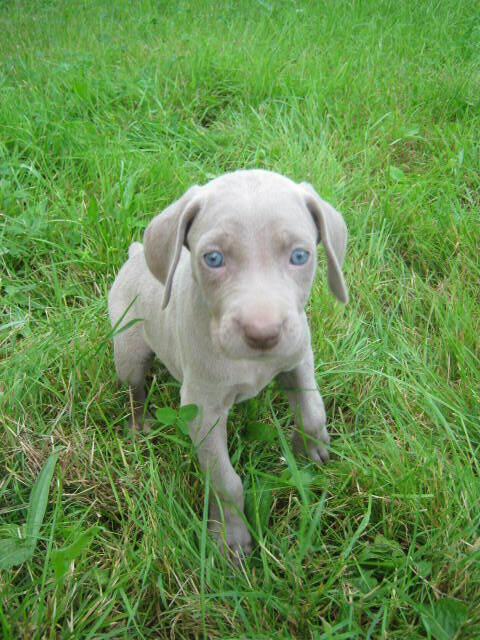 This is an exceptional puppy.